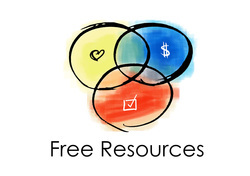 Check out the huge array of free resources and visit the Sweet Spot Blog. If you’re at a career crossroad and unclear of the next steps, try a personalised one on one approach. For midlife and mid career professionals who need practical advice on how to make a successful career transition move. working out what you want and how to get there. High quality content delivered through an easy to use online platform featuring video tutorials, activity based learning and practical step by step documentation. The workshop sizes are kept to a maximum of 16 participants for full day and 6 participants for half day. These are small enough to ensure that everyone has a chance to engage and discuss their situation, but large enough to have a great dynamic for sharing and learning across the group. This program is designed specifically for people in their midlife ( eg 35 to 55 year old age bracket). I do know what I want to do, but I’m reluctant to make the change. Is this program going to help me? No, if you already know what you want to do but you just can't make the transition, then sorry this isn’t designed for you. It might be better for you to find a career counsellor or coach as this could give you more personalised advice. If you have worked through career options and decided on a clear set of options, then yes, you may just need that extra bit of assistance to help you make the transition. If you've been to workshops before and not taken action, then you may want to reflect on what's holding you back. I need advice on my CV and job hunting. Will this program help me? No, this workshop is not about job searching or applying for positions and does not cover resume advice or preparing for interviews. I suggest you visit your local library or bookstore as there are many great resources out there to help you revitalise your CV and give advice on applying for jobs and the interview process. Spend some time reviewing the Resource Section as these could help you work out steps to take, particularly have a look at the Getting Started activities. I’m confident you’ll leave the program with a clearer idea of what your career redesign will look like and what you can do to achieve it. It will also provide a great network of like-minded people and additional resources to assist you. 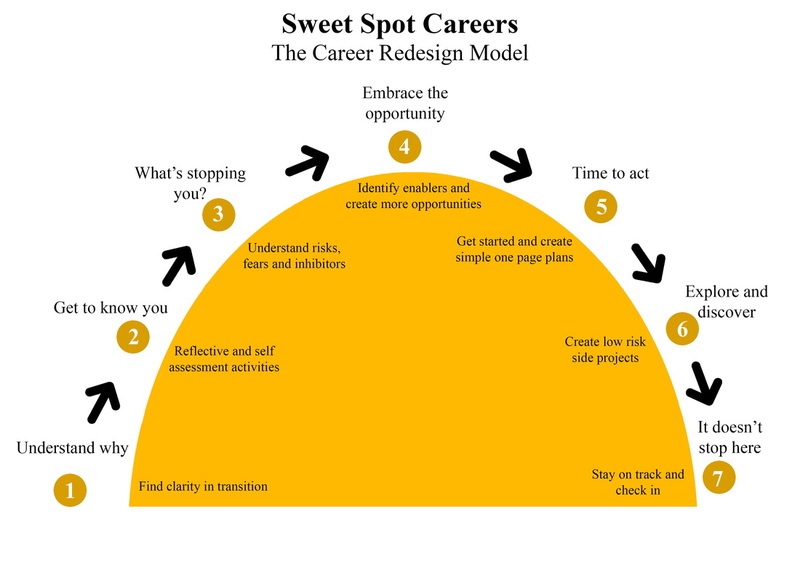 The program creator believes everybody deserves a chance to create a sweet spot career.